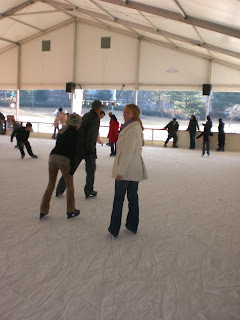 When I was in the 3rd grade I took figure skating lessons, had the skates, outfit and everything. 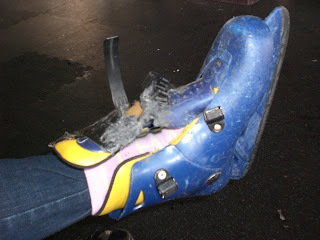 I was going to be the next Nancy Kerrigan...then I moved and T-Town didn't have an ice rink! :( Glad you gave it a shot. If you would have told me you were going I would have grabbed Fluffy and we could have come down and bet on which kid would fall first. So much fun.